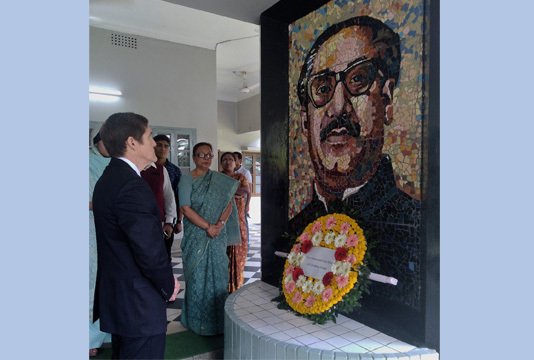 Newly appointed US Ambassador to Bangladesh Earl R. Miller has paid rich tribute to Father of the Nation Bangabandhu Sheikh Mujibur Rahman by placing floral wreaths at his portrait. The US envoy recently visited the Bangabandhu Memorial Museum in the city to pay homage to Bangabandhu, according to US Embassy’s official facebook page here today. He also signed the visitor’s book there. The US Ambassador presented his credentials to President Md Abdul Hamid on November 29.